Alive! 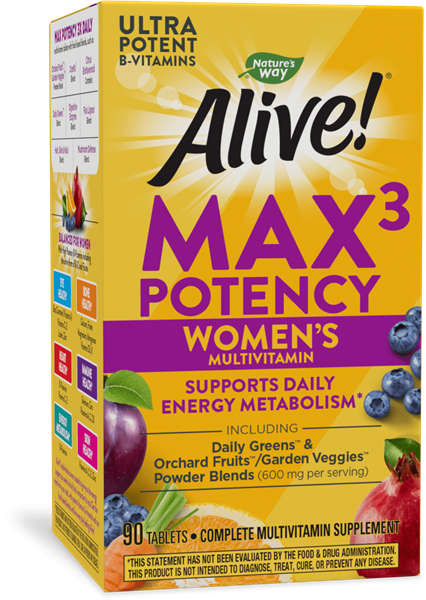 Max Potency Women’s Multi / 90 Tabs - Nature's Way®. Caution: If you are pregnant, nursing, have a blood clotting disorder, have kidney dysfunction or taking any medications, consult a healthcare professional before use. Contains the amino acid phenylalanine. Do not exceed recommended use.